GRTIET provides its students one of the most comfortable boarding facilities in the region.The hostelcomes with 75 rooms for girls and 124 for boys, are spacious, clean and secure. Entitling each student to an individual bed, wardrobe, armchair and desk. 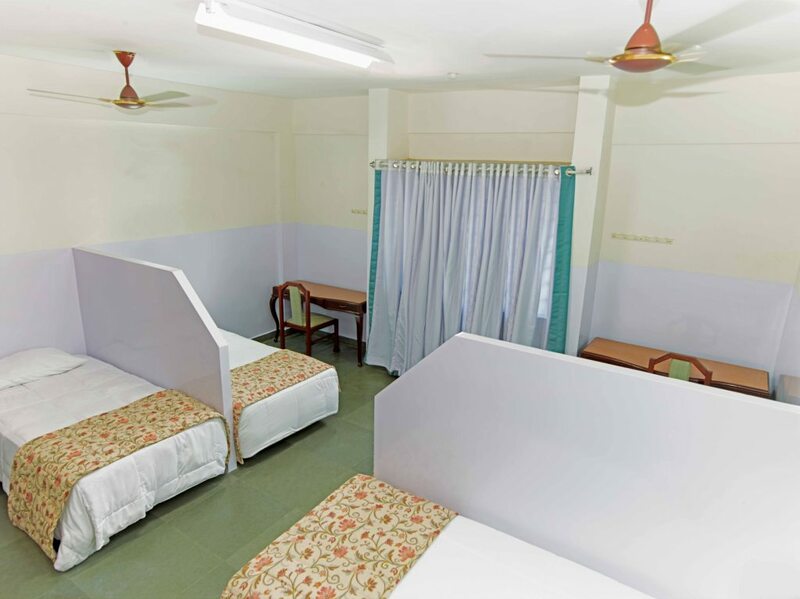 Air-conditioned and non air-conditioned rooms are available on an individual/sharing basis. Toilets and washrooms are maintained to hygiene standards by the cleaning staff. All rooms have running hot and cold water. 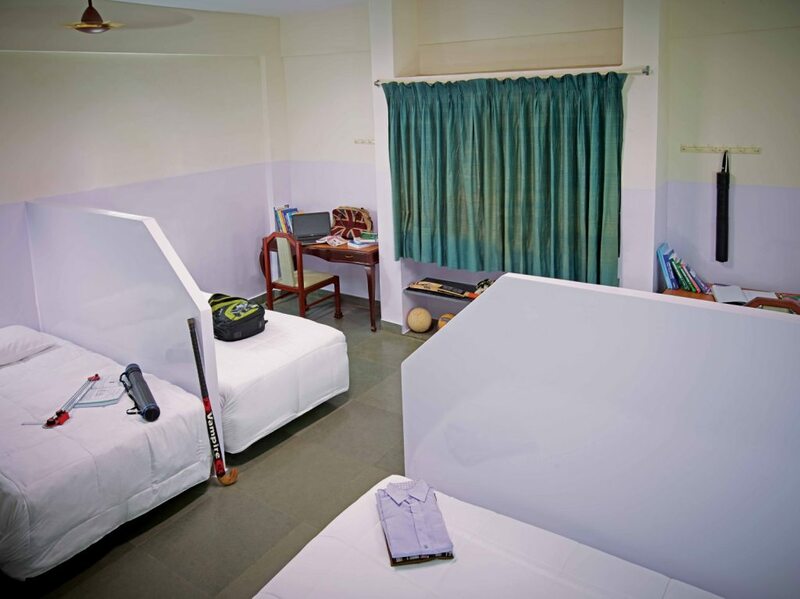 The hostel has separate recreation, study and visitor’s rooms, apart from a TV room and international standard gym. The hostel boasts of a 10Mbps, wi-fi powered computer room. A bank of high-power generators ensures 24-hour power.Emergency medical needs are met by trained staff, while round-the-clock transport facilities are also provided at the hostel. Modern kitchens, staffed by qualified chefs, ensure hygienically prepared meals are served to students in a separate dining room. Clean RO water is available at water stations in the hostel as well as at strategically located water stations around the campus. An experienced warden is in charge of all the students’ needs and oversees the hostel at all times. Admission to the hostel will be made by the Principal. All the applications for admission must be made to the Principal in the prescribed form which can be had from the Hostel Office on payment. Every student seeking admission in the hostel should give an undertaking in the prescribed form countersigned by the parents. Members of the hostel should not absent themselves from the classes and stay in the hostel. Study hours are tentatively fixed as 8.30pm to 10.30 pm. This might get altered extended during study holidays and exam days. During study hours, members of the hostel should remain only in their reading rooms. The inmates of the hostel should not leave the hostel on any day without prior permission of the Deputy Warden/Warden, failing which severe disciplinary action will be taken against them which/may include termination of the students from the hostel. No student shall leave the hostel after 6.00 p.m. The inmates should not misuse with the electrical power in their rooms. The use of extra light, electric heater or electric iron or fan or audio or video tapes or any other electrical appliances is strictly forbidden. Members shall not remove the furniture from one place to another or exchange among themselves. Hostellers are forbidden from defacing or damaging any part of the hostel. Students who are involved in such activities will be punished severely to the extent of dismissal from the hostel. The cost of any such damage so caused, shall also be recovered from them. Members are advised not to leave cash or valuables in their rooms. The hostel authorities will not be responsible for articles or money lost by members. Students can deposit their cash in the nearest banks. On no account tea, meal or tiffin is allowed to be taken inside the room unless it is approved by the Tutor/Deputy Warden / Warden under emergency cases where the inmates are sick and bed ridden. No member is permitted to enter into the kitchen. No guest can be entertained without the permission of the Deputy Warden / Warden. Guests are confined to the reception hall and students are not permitted to take the guests to their rooms, lest they will be dealt with severely. Members should maintain silence in their rooms. Any complaint against any employee of the hostel for any cause may be made in writing to the Deputy-Warden / Warden for necessary action. No member shall take law in his/her own hands, however, grave or provocative the conduct of the employee immates / Co – Students may be. Possession of cigarettes, alcoholic beverages, intoxicating drugs or use of such forbidden items is strictly prohibited. Shouting or causing disturbance to the other inmates of the hostel is strictly prohibited. Any breach of discipline in the hostel shall be dealt with either by fine, suspension or expulsion from the hostel or even handing over to the police. Expulsion from the hostel, either temporarily or permanently shall entail similar expulsion from the College as deemed fit and necessary. Snacks : 5.00 p.m to 5.30 p.m.